In the last 10 years, the Romanian grape variety Fetească Neagră has scored a significant development both in popularity and in quality. The red wines obtained from this variety of grapes became top products for certain wine producers in Romania, both in terms of quality, but prices as well. 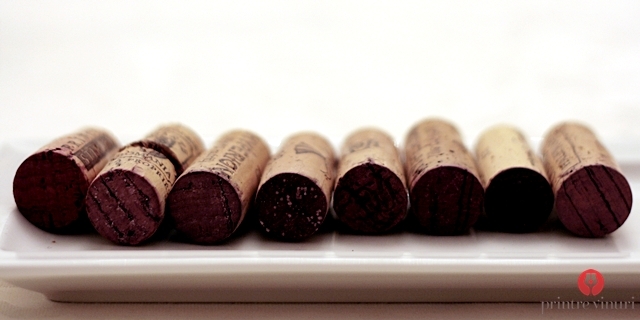 At the beginning, in the category of premium wines, Fetească Neagră was blended with Cabernet Sauvignon and Merlot, but gradually, in this category, wines obtained 100% from Fetească Neagră appeared. Due to the potential of representing Romania after the Carménère – Chile , Malbec – Argentina and Pinotage – South Africa model, more and more experts from the wine trade (especially from abroad) have seen in Fetească Neagră the main engine that could impel the image of Romanian wines for export. In order to bring into operation this engine it is absolutely necessary to know how it works, which are the conditions in which it can develop maximum power and which are the attributes that characterizes and individualizes it. 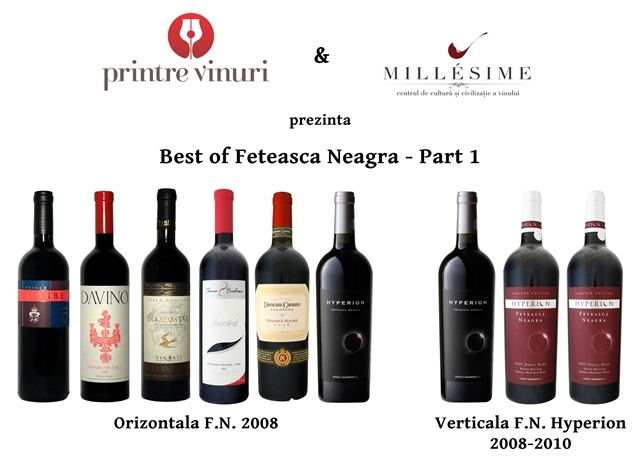 Because of a personal ambition to understand and to know better Fetească Neagră I took the lead in organising, in collaboration with Millésime Wine Club from Oradea, a series of comparative tastings of wines obtained 100% from Fetească Neagră.The title of the series is Best of Fetească Neagră and the first episode took place on Monday evening, 18th February. Best of Fetească Neagră Part 1 started with a presentation of several pieces of information that I have discovered as a result of an individual study about Fetească Neagră grape variety. So, what do we know about Fetească Neagră ? 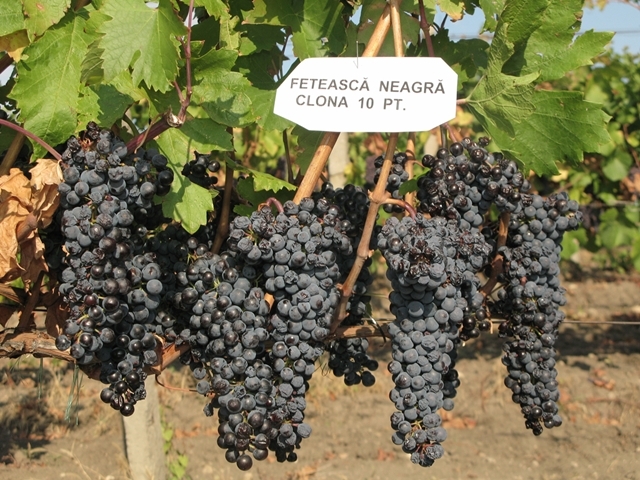 Fetească Neagră is a vitis vinifera variety, obtained trough a popular selection, of vitis silvestris cultivated by Dacians (or their predecessors) on an area between the Carpathians and the Dniester. The wine-growing centre where Fetească Neagră is said to be originally from is Uricani, near Iaşi. Besides, in this wine-growing region called Moldavian Hills, the variety has been cultivated for a long period of time and only later reached Wallachia, Oltenia, Dobruja and lately Banat, Transylvania and Crişana. In our days the variety is encountered in all wine-growing regions but only on an extremely low surface. According to the official statistics presented by ONVPV (National Office of Vines and Viticultural Products), for the viticultural year 2010-2011, in Romania the area planted with Fetească Neagră was at the time of 2348,91 ha. Depending on the area in which it was cultivated, Fetească Neagră was well known by people under other names such as: Poama fetei negre, Păsăreasca neagră, Coada rândunicii. A large number of research studies have focused on the Fetească Neagră theme, carried out or coordinated by Mrs. Arina Oana Antoce, professor at the Faculty of Horticulture Bucharest. But a work that caught my attention is the dissertation study of Andrei Marin from USAMV Iaşi, that is called “The study of Fetească neagră variety in Valea Călugărească wine centre, depending on the culture technologies”. 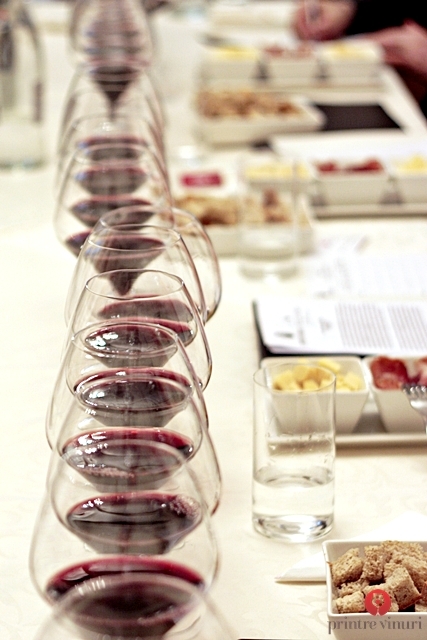 Establishing the typicity of Fetească Neagră variety and recognizing the wines obtained from this variety in a blind wine tasting session, gave a hard time even to the most skilled tasters. Viorel Stan, an experienced taster, confessed that for years he recognized this wine only by elimination: “It has the wild character of Cabernet Sauvignon? No. It has the delicacy and raspberry flavour of Merlot? No. If it is well coloured, if it is ample, soft and balanced, if it is stout …than it must be Fetească Neagră.” The recognition of specificity came later. Mr. Viorel Stan, in his book “The great book of wine tasting”, points out the fact that the wine obtained from Fetească Neagră has a specific olfactory character which suggest the smell of prunes gaining a slight taste of cinnamon trough ageing. The practical part of Best of Fetească Neagră Part 1 consisted of the tasting of six wines from 2008 and the tasting of 3 consecutive years of Fetească Neagră Hyperion made by Halewood Romania. I have chosen 2008 because it was a good and balanced year for most vineyards and because in this year many 100% Fetească Neagră wines in the premium area (+ 10 Euro) appeared. Within the horizontal tasting I aimed to recognize the variety’s typicity, as well as the main features of the flavour. 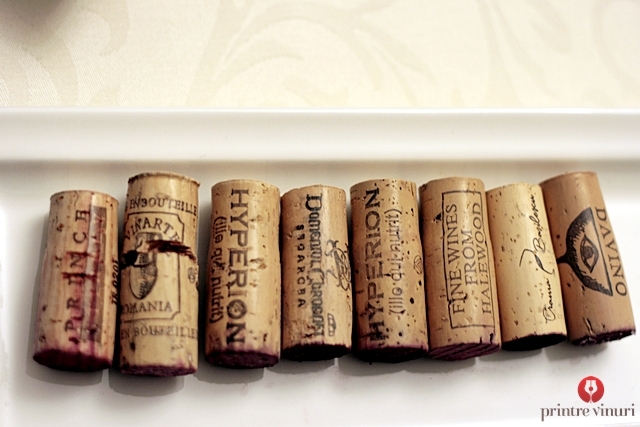 All wines were opened and aired in bottle for 3 hours after which they were decanted and left to breathe for another hour. It is one of the Fetească Neagră wines produced by Oliver Bauer (there was another one more from 2006). The alcoholic and closed nose opens gradually with a touch of black and ripened fruits (a mix of blackberries, bilberries, prunes and blueberries), covered in chocolate, caramel and cocoa to which some spices are added. It is a thin taste with soft tannins. At first, the nose is reductive and closed after which come out to light prunes that are abundantly powdered with pepper. It was among the most typical aromas of Fetească Neagră, experiencing a slight influence by the oak barrels. The taste is very well structured – a dual system of firm tannins and a sustained acidity which lingers on the inside of the cheeks. The year 2008 was the last one in which Vinarte produced Fetească Neagră Swallowtail. The wine had slight tints of brick colour on the outline, showing some signs of fatigue. The wine revealed itself gradually having a nose of black fruits in the end in which prevails a taste of smoked plums, emerging also some elusive touches of cinnamon and clove. The taste is a bit slender having an addition of acidity and much more pointed tannins. The only one, from those tasted in this row, with CIB indication (Harvested at Grape’s Ennoblement). The nose is full, reminds you of black fruits, over-ripped red fruit, sometimes with jammy notes, but also soft chocolate icing, coffee and cinnamon. It’s a sort of best of both worlds: fruit and barrique. Somehow this wine reminds me of the great wines from the New World. The flavour is thick, heavy, stout and intensive, with sweet tannins and fruitful acidity. It was nominated the best wine of the evening, but as some of the participants remarked it tends to become tiresome. The nose it’s under the influence of whisky-cream, roasted wood and milk chocolate that are derived from the French oak barrels in which the wines are maturated. The primary aromas that give the variety’s character are missing. The flavour is not very balanced having low-medium stout, sweetish tannins and a moderate acidity. I’ve never come across a wine (more than that Fetească Neagră) that has the odour of this one: a sort of medicine (I don’t remember exactly what was it but I used to take it in my childhood and it was absolutely disgusting), menthol, eucalyptus. In other circumstances I would have considered the wine out of order and I wouldn’t have accepted it. The other participants would have done the same. I had the courage to taste it and I have discovered a wine with a good structure, with well positioned tannins on a fruitful acidity and menthol brims. Before serving the next wine I smelled the decanter in which I found a few drops of Fetească Neagră Hyperion 2008 and I was shocked – the decanter had the smell of smoked plums, dried leaves and truffles. I gave the others the decanter and the reaction was the same: in the decanter the wine smelled incomparably better. I poured those few millilitres of wine, into a clean glass and for our amazement we’ve discovered that in the glass, the wine smelled as medicine, like before. A wine full of mystery. A nose full of dark, over-ripped fruits, sweetened by vanilla tints derived from their preservation in oak barrels. The taste is very well structured – spicy tannins, a bit alcoholic, proper acidity, fruitiness and an over average stout. From the three vintages of Fetească Neagră Hyperion, this one, from 2009, was the best. The nose is a little more closed having a herbal and sallow touch that reminds me of the shadiness of the 2008 vintage. The flavour is looking for its balance – the tannins and the acidity haven’t got along yet. It’s a wine that took wing at the end of the last year and a wine that lacks the experience of aromas. The most valued wine of the evening was Fetească Neagră Ancestral Crama Basilescu, followed by Fetească Neagră Purpura Valahica DAVINO and Fetească Neagră Swallowtail Vinarte. The participant’s scores for the horizontal tasting Fetească Neagră 2008 wines were structured and centralized in the list below. As one can notice, the points vary from one participant to another, so they are not to be taken as a guide to establish a final hierarchy of the wines, but to have a more analytic feedback. The typical character of the premium and super-premium wines obtained from Fetească Neagră and given by the black fruits – prunes/ blackberries – is found within wines in various forms (ripped, over-ripped, jam or marmalade). However, this character is suited by the oak barrel touches (it can vary from vanilla to dark chocolate and cocoa depending on the origin and the degree of burning). In terms of flavour there are big differences concerning the level of stoutness depending on the origin – Segarcea and Drăgăşani render subtle wines, while those from Dealu Mare have a more complex structure, an above average body, well shaped tannins and a little more intense spicy touch. Translated in english by Alexandra Bocșe. Thanks for the comprehensive information, some descriptions sound very promising. Could you please recommend any romanian (online) dealer which delivers at least some of the mentioned wine to Germany?